Every regular, paying MMORPGer can’t stand bots. 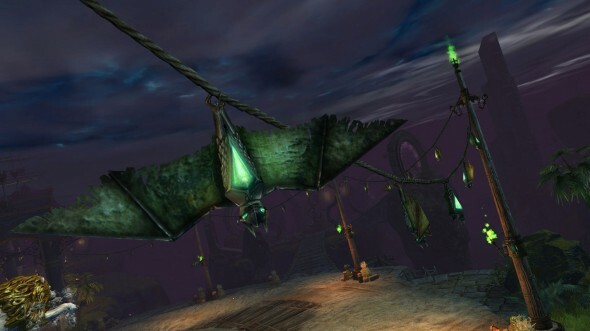 They destroy economies, ruin questing hub hunting grounds, get in your way, out-level and out-gather you, and generally wreak havoc on a game world. It’s nice to see at least one botting company having to pay back some of the cash they’ve earned doing most anything illegal in a game. California Court orders World of Warcraft bot company to pay $7 million in damages to Blizzard Entertainment. Blizzard Entertainment has won a lawsuit against a World of Warcraft bot company for $7 million. According to a report on GamesIndustry, the suit was originally filed by Blizzard Entertainment against Ceiling Fan Software in December 2011. 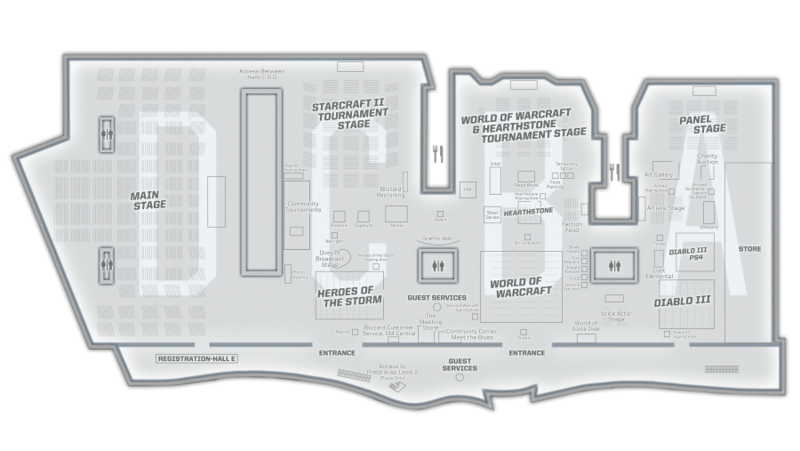 Ceiling Fan Software was allegedly behind a number of World of Warcraft bots, including Shadow Bot and Pocket Gnome. A California Court has ordered Ceiling Fan Software to cease operations and pay Blizzard Entertainment $7 million in damages. A statement posted on the Ceiling Fan Software website cites “two years of legal battles” by the organisation to “both pursue our right to operate and our customer’s right to play WoW as they choose”. Ceiling Fan Software is accepting donations to assist with “outstanding legal fees”. Parent company Activision Blizzard revealed a drop in World of Warcraft subscribers earlier this year. 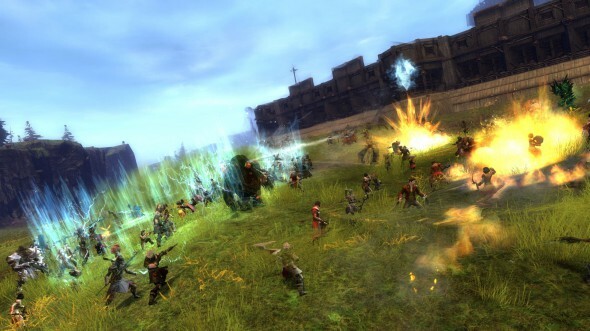 Despite dipping to 7.7 million active players, the publisher revealed that the game remains the most popular subscription-based MMO in the world. Subscribers for World of Warcraft peaked at over 12 million in October 2010. The original World of Warcraft game was released in 2004, and was followed by four expansion packs:Burning Crusade, Wrath of the Lich King, Cataclysm, and Mists of Pandaria. A film adaptation of the Warcraft universe is scheduled to begin filming in 2014. This week’s update walks us through the “jewel of the Dominion Fleet”, the Arkship Destiny! I’m particularly interested in the juice bar and massage services. I wonder how much extra that package costs? Be a part of History! Sign up today to go to Nexus, homeworld of the gods! After a comparatively brief series of evaluations, you may be selected as one of the Dominion’s best and brightest citizens, allowing you to serve as a chosen representative of the Emperor! If chosen, you will make the journey to Nexus, embarking on the Arkship Destiny – the jewel of the Dominion Fleet! The Destiny was designed to meet every need of the discerning Dominion traveler. You will enjoy your journey through the stars safely within a well-appointed cryopod! Scented air capsules, exciting cryosleep adventures, and functional electrical stimulation will keep your mind and body in tip-top shape during the voyage to Nexus. Upon your arrival in planetary orbit, you will be awakened by an appointed Dominion representative. Your personal representative will evaluate your post-cryosleep state and recommend treatments to get your blood pumping prior to your departure to the planet’s surface. As you await embarkation aboard one of the Destiny’s luxurious shuttles, refresh yourself at the complementary juice bar and take advantage of our masseuse services*. *Juice Bar and Masseuse Services not available for all Dominion citizens. Inquire about upgrading your Destiny reservation package today! As a loyal citizen of the Dominion, it will be your duty to spread the word of the Vigilant Church to any species you may encounter upon the planet Nexus. To aid you in your divine obligations, the Destiny is fully-appointed with a beautiful, full-service church to see to your every spiritual need. The Destiny is your chance to rub elbows with the Dominion’s greatest celebrities while cruising the galaxy in style! Such notables as Artemis Zin and Toric Antevian have already reserved their spots aboard the Destiny. Where else will you find yourself able to mingle with the most glamorous citizens in the Dominion? Aboard the Destiny, we offer a wide variety of physical and mental training workshops to better prepare you to fulfill your dreams of a brighter future. Many activities are available to further your mastery of your chosen Path. Soldiers, Scientists, Explorers, and Settlers will all find challenges tailor-made for them aboard this ship of wonder! Each citizen is equipped with a complementary datachron and taught its basic functions. Your datachron will be invaluable as you navigate the uncharted wilds of Nexus and interact with the mysterious cultures you are sure to encounter there! Experienced citizens who have already completed at least one Service Contract on Nexus can optionally choose to be dropped directly onto the planet’s surface. But why would you want to, given all that Destiny has to offer? Are you ready to embark upon the greatest adventure of your life? Act now to reserve your spot aboard the Destiny! No credit? No problem! See your district’s appointed Citizen Evaluator about a Service Contract today! Despite a few months of RIFT being at the top of Raptr’s most played games, and despite having some great financial numbers, RIFT is going to undergo server merges. The official announcement and details are over here. Next week’s RIFT server merge is far from the first time that the game has compressed its servers, but it’s still producing no shortage of anxiety and apprehension. The game’s community managers took to the forums to answer some of the more pressing questions, starting with the (unwelcome) news that the merged EU servers will wind up without a server flagged for roleplaying. Name changes will be necessary; surnames are possible for the future, but they will not be in place for the merges. Players with more than the maximum number of characters after the merge will only have access to the first 12; players will need to delete existing characters to see the characters in overflow, but they will not be lost. Guild banks do not need to be emptied. Players are also reminded that characters can be transferred before the merger. The one bright point is the fact that the EU servers will have an auction house supporting French, English, and German clients at the same time, allowing all players in the region to interact successfully on the merged worlds. GW2’s new Halloween themed content is delivered today! If you’re looking for the entire set of patch notes, go here. If you’re looking for more of a summary of the activities available and a guide from ArenaNet for how to engage in this new content, read on! Halloween has returned to Tyria, along with the Mad King—but a new menace has emerged to threaten both the Mad Realm and our world! Magister Tassi needs your help to keep everyone alive long enough to enjoy Tyria’s annual spooky celebration! Upon logging into Guild Wars 2, you’ll receive an email from Magister Tassi of the Durmand Priory. She’s in urgent need of assistance in containing a mysterious, sinister artifact she found in the ruins of the Nolani Academy. The Show Me button in your mail will point to the new Haunted Nolani Waypoint in the Black Citadel. Once inside the Nolani Academy Ruins, read the note on the ground from Tassi and proceed down into the crypt where Tassi has set up her research station. 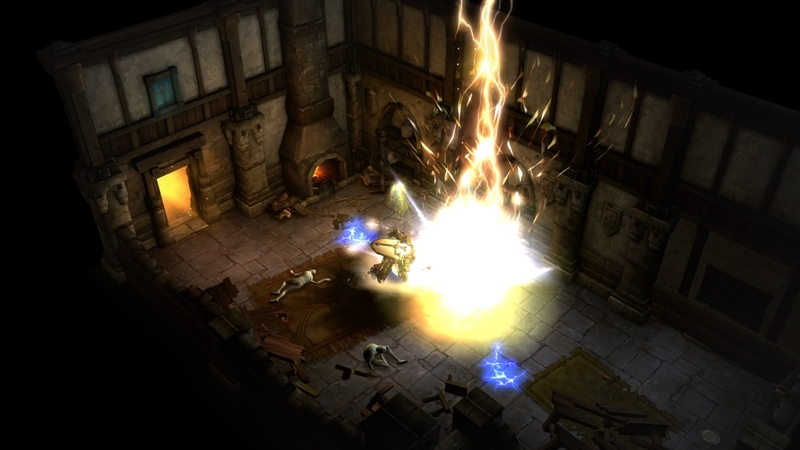 Wind your way through the crumbling passageways to find Tassi with the reliquary. Speak with Tassi to learn about her discovery and prepare yourself for the opening of the reliquary. Tassi’s expecting to find the Mad King Thorn closed up in that box, but she’s in for a surprise—someone else is breaking through the barrier between realms! You’ll have to be quick on your toes to help Tassi frustrate this new attacker and send them to the Mad Realm. 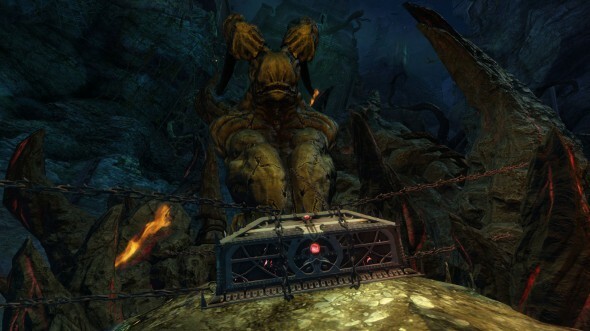 After you leave the instance, Tassi will send you mail with her relay golem and some consumable Halloween finishers. You’ll need to complete the meta achievement, A Sweet Friend, to progress the story. Using the relay golem occasionally will update you on Tassi’s progress. Halloween-themed daily achievements also count toward the completion of A Sweet Friend. 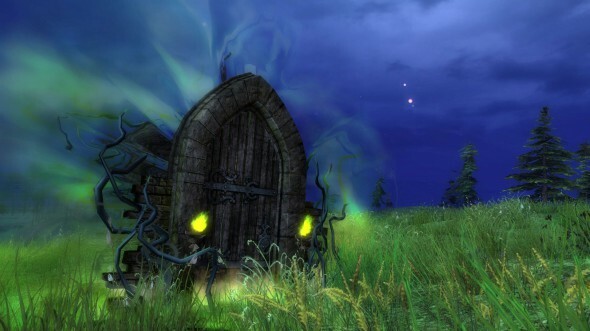 In Queensdale, Kessex Hills, and Gendarran Fields, Haunted Doors will appear in two varieties: green Mad King doors and red Bloody Prince doors. Each can treat players with a Trick-or-Treat Bag or trick you with the Mad King’s army of Candy Corn Elementals, Plastic Spiders, and Gargoyles or the Bloody Prince’s army of undead. Completing door events will progress the Shut the Doors achievement. Lion’s Arch is decorated for Halloween once again! There are pumpkins to carve, trick-or-treating kids, and the Mystic Forge cauldron to jump into. Vendors sell Halloween-related recipes and Sonders the Merchant in Fort Marriner will sell you special goods for your Halloween candies and trophies. The Mad King himself will visit Lion’s Arch on Halloween (9AM October 30 to 9AM November 1 PDT). Successfully playing his Mad King Says game will give you the A Royal Tradition achievement, which counts toward A Sweet Friend as well. You’ll find him either in the Grand Piazza or the Mystic Plaza. Just outside the home cities, players will find a Halloween tent with a Mad King actor, more costumed kids, and Rasmus the ghost, who can transport you to the Lunatic Inquisition. 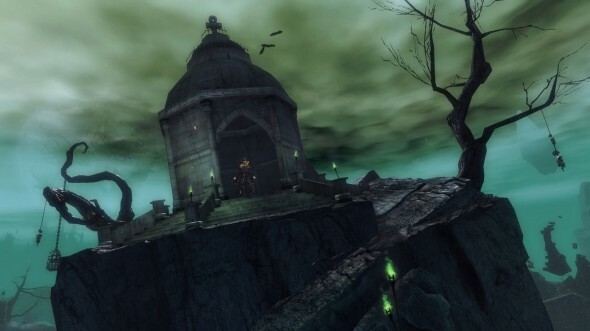 The Heart of the Mists and Borderlands citadels in World vs. World have been decorated for Halloween. Entering the Mad Realm through the Haunted Doors will bring you floating isle above the Mad King’s Labyrinth. Talk to the nearby Lunatic Boatmaster to go to the Lunatic Inquisition or the Mad King’s Clock Tower. 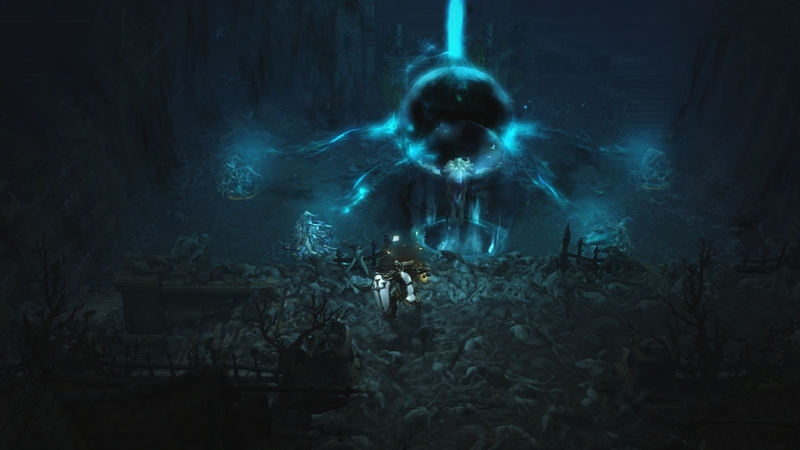 You can use the portal on the ground to enter the labyrinth below or exit back to Tyria through the Haunted Doors. The Lunatic Inquisition is a PvP activity in which your goal is to survive the night. Lunatic Courtiers chase Villagers and convert them, while Villagers run, hide, and fend off starvation. 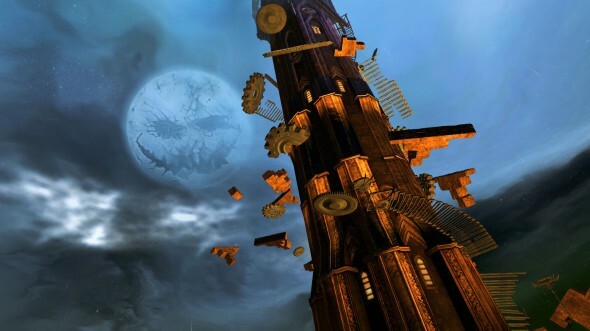 Those who seek a challenging jumping puzzle can attempt to ascend The Mad King’s Clock Tower. This is a timed jumping puzzle that challenges you to race your way to the top of the clock tower. There are progress reward chests along your way and a final reward chest inside the clock tower belfry. The Mad King faces off with the Bloody Prince in the labyrinth where their forces clash. Players can fight their armies, mine Candy Corn, and carve pumpkins. The real challenges are the three legendary bosses that live in the maze: The Skeletal Lich, the Grand High Viscount of Candy Corn, and the Labyrinthine Horror. Once you have completed the A Sweet Friend meta achievement, you’ll be rewarded with a Mini Candy-Corn Elemental. This living candy corn is exactly what Tassi needs to complete her plan! Return to the Nolani Academy Ruins in the Black Citadel to finish out the story arc. 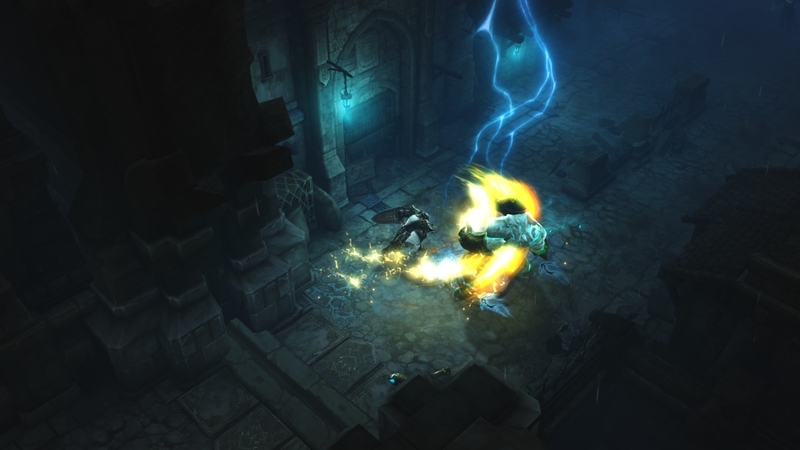 This is a repeatable multiplayer instance which requires at least one player to have finished the meta achievement. Get ready to glaze! Finishing A Sweet Friend will earn you a Mini Candy-Corn Elemental. Playing a game of Mad King Says doesn’t just give you a chance to laugh at the lunatic monarch’s jokes—if you successfully complete a match, you’ll win yourself a Mask of the Night! The rewards for the Mad King’s Clock Tower jumping puzzle have changed. Upon finishing the jumping puzzle for the first time this year, you’ll receive a single-use, account-bound Mad King Chest which will allow you to choose between light, medium, or heavy hand armor. The Armwraps, Gloves, or Gauntlets of Madness that you receive on picking will be soulbound on use. When you first double-click on your new hand armor, you’ll be able to pick which stat combination to use. After that point, the hand armor will be soulbound to the character that used it and you will not be able to re-assign a stat combination. Subsequent completions of the jumping puzzle will award Trick-or-Treat Bags. Sonder the Seller in Fort Marriner will exchange your stacks of Pieces of Candy Corn, Chattering Skulls, Nougat Centers and Plastic Fangs for refined versions of each. Candy Corn Cobs can be used to purchase the Mini Bloody Prince Thorn and 20-slot Halloween Pail bag. Gibbering Skulls, Tyria’s Best Nougat and High-Quality Plastic Fangs are used in Mystic Forge combinations to create recipes for exquisite Halloween weapons. A Sweet Friend is the meta achievement for the Blood and Madness release, and will be available through November 11 to complete. 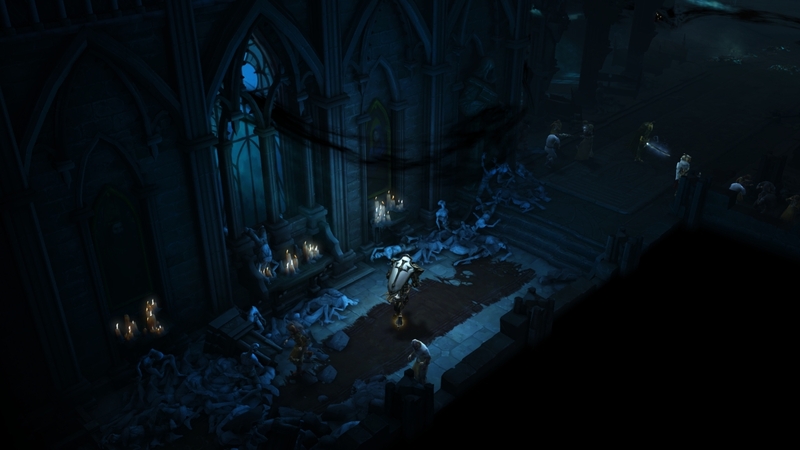 Many of contributing achievements can be earned by playing various Blood and Madness content including the story instance, activities, Haunted Door events, and using Halloween finishers. Halloween-themed daily achievements will also be available until November 11 and contribute to the meta achievement. Three additional achievements, which deal with the resolution of the Halloween storyline, are available after completing A Sweet Friend. It’s hard to believe that even this long after the US/EU/JP servers went live for FFXIV’s “Reborn” launch, there are still servers preventing character creation. Hopefully this will be a way for friends and guild members to finally get together for the first time since open beta. 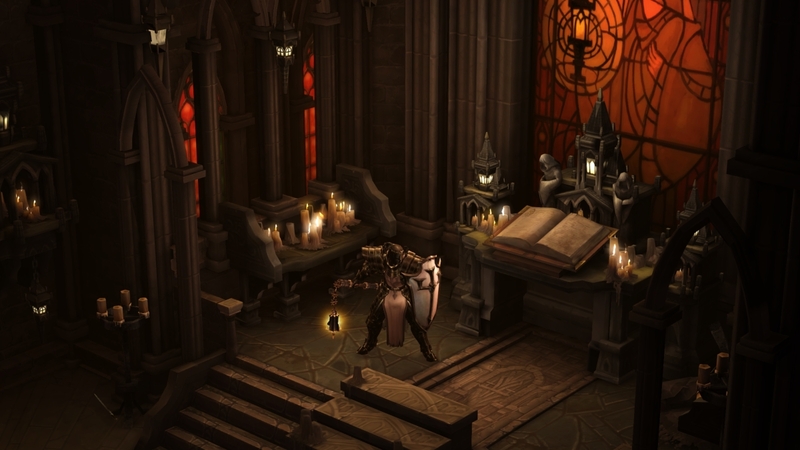 Due to login and character creation restrictions set in place after the start of official service, many players were unable to create characters on their desired Worlds. In order to address this issue, players will be allowed to use the World Transfer Service free of charge from Tuesday, October 15, 2013, to Monday, October 21, 2013, 01:00 a.m.
After reading the guidelines below, please proceed to the FINAL FANTASY XIV: Mog Station (http://sqex.to/Msp) to use the World Transfer Service during the aforementioned time period. What is the World Transfer Service? Using the World Transfer Service, players can move characters on their service accounts to be from one World to another. 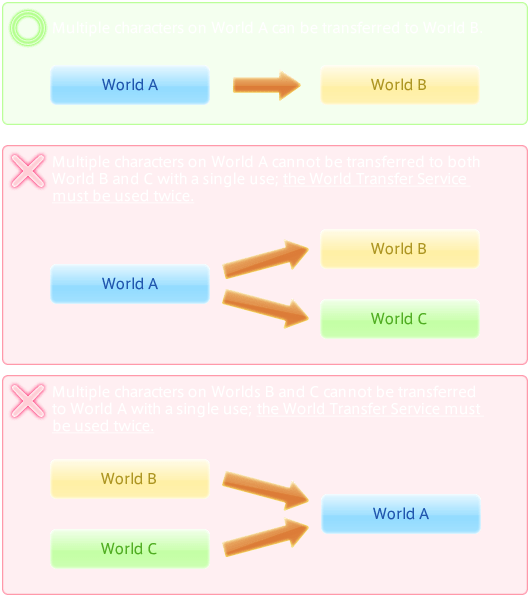 Although multiple characters can be transferred from one World to another with a single use of this service, multiple characters from different Worlds cannot be transferred to the same World, nor can multiple characters from a single World be transferred to separate Worlds. * Characters cannot be transferred to a World which has already reached the limit for character creation. * Characters can also be transferred between data centers. In order to allow the economy of newly established Worlds to stabilize, the following restrictions have been set in place for Legacy Worlds. 1. You must possess an active service account for FINAL FANTASY XIV: A Realm Reborn. 2. You must be logged out of the game. 3. Your character cannot be enlisted in a free company, holding a free company petition, or signed to a free company petition. 4. Your character cannot have items for sale on the market. 5. Your character cannot have items entrusted to the Calamity Salvager NPC. 6. Your character must rehire any retainers carried over from Version 1.0. 7. Your character must be logged out outside of any instanced areas. 8. The character you wish to transfer must be at least three days old. 9. Your service account cannot be suspended due to a violation of Terms of Service or a hold on the account. 10. Furthermore, characters can only transfer 3 million gil, while retainers can only transfer 1 million gil. Please be aware that excess gil will be lost. Once you begin the World transfer process, you cannot create new characters or log into the game until the transfer is complete. Characters will be transferred in the order applications were submitted. Furthermore, additional time may be required for all transfers to complete. A notification will be sent to the e-mail address registered to your Square Enix account when the transfer is complete. Do not attempt to log in before receiving this notification, as doing so may cause an error in the transfer, prolonging the process. * Please check your e-mail filters to ensure e-mail from the domain name @account.square-enix.com is not sent to your junk mail folder. A large number of players are expected to make use of the World Transfer Service during this free period. As a result, transfers may require several days before processing is complete. Log into the FINAL FANTASY XIV: Mog Station with the Square Enix account containing characters you wish to be transferred. The status of your service account and available characters can be confirmed on the Account Services page. To begin the application process, select World Transfer Service on the Optional Services page. * In the event you possess multiple service accounts for FINAL FANTASY XIV, please select the tab of the service account containing characters you wish to be transferred. Accounts with entry subscriptions are only allowed one character per World; therefore, for these accounts, characters cannot be transferred to a World on which a character is already present. With a standard subscription, players are allowed up to eight characters on a single World. In the event the name of your character has already been chosen by another character on the destination World, you will be required to change your character’s name when logging in for the first time. Although it is possible to confirm the availability of your character’s name when submitting your application, multiple applications bearing characters with the same name may necessitate the renaming of your character, depending on the order in which the applications are processed. * Once service fees are instated for this service, characters transferring from another World will take priority in the event a character on the destination World has the same name but is associated with an inactive service account at the time of transfer. In the event the name of your retainer is already being used by another retainer on the destination World, you will be required to change your retainer’s name upon first summoning them. Please be advised that it cannot be determined beforehand if your retainers will require name changes. Retainers and all items in their possession. * Please note that any gil exceeding the above limit will be lost. * The World Transfer Service cannot be used for characters enlisted in a free company. Please make sure your character is not a member of a free company before using this service. * Characters will be withdrawn from linkshells automatically. – The following data will be updated automatically. * World transfers will not affect your list of followers and those whom you are following. The World Transfer Service cannot be used when the Square Enix Account Management System, FINAL FANTASY XIV: A Realm Reborn, or the FINAL FANTASY XIV: Mog Station is undergoing maintenance. With the introduction of the World Transfer Service, there may be cases where players are requested to transfer to other Worlds due to fluctuations in population. We may also consider the splitting or merger of Worlds. Because of this, there may be instances where players who have used the World Transfer Service are requested to move to a different World. Please note that in such cases, applications for World transfers cannot be canceled or refunded. If you should encounter problems when using the World Transfer Service, please contact the Square Enix Support Center. Please note that the Square Enix Support Center cannot assist with certain problems if more than one week has passed since using this service. Please note that the paid service is estimated to start at the end of October. Details on the paid service will become available once they are finalized. Nearly a year in the making, server transfers are now discounted until October 17. Get your move on! Until the day before the inaugural World vs. World Season, we’re reducing the prices for moving to a new home server! Transfers to a Medium population world are free, and moving to a High population server has been discounted to just 800 gems – but only until October 17! You can transfer worlds using the World Selection button on your character selection screen. To celebrate the in-game event “The Whisper Tide” in The Secret World, we in Curse are proud to be the first partner of Funcom to give away both trial keys and unique Curse branded clothing. Go here for the key. By using one of these keys you can either append the very cool Curse hoodie to your wardrobe in The Secret World, OR start up a fully new trial account which also includes the stylish hoodie. 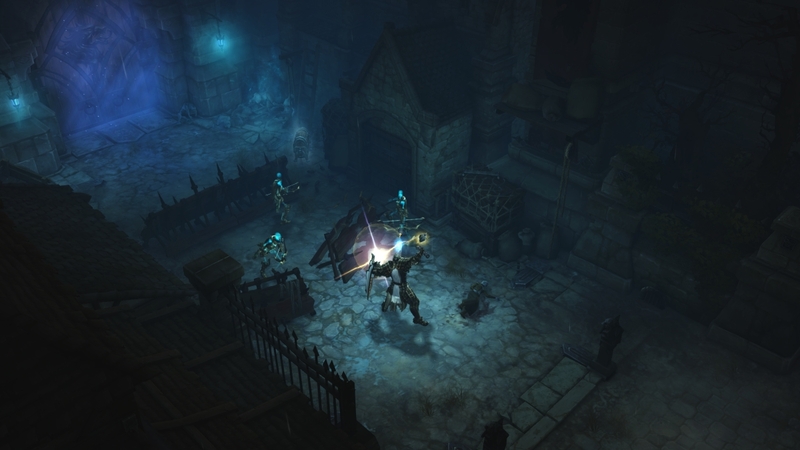 Now, there is no reason not to try one of the most popular MMOs around. Please go to http://register.thesecretworld.com to use your key! Be sure to check out the details of The Whisper Tide here! Pmang has done it again. Not content to release just one video, they launched nine new videos this week in preparation for the Korean Games Conference 2013. The videos cover everything from the seamless world to character design, wind effects to time of day, and even how inanimate objects can be set to motion using positional offsets.